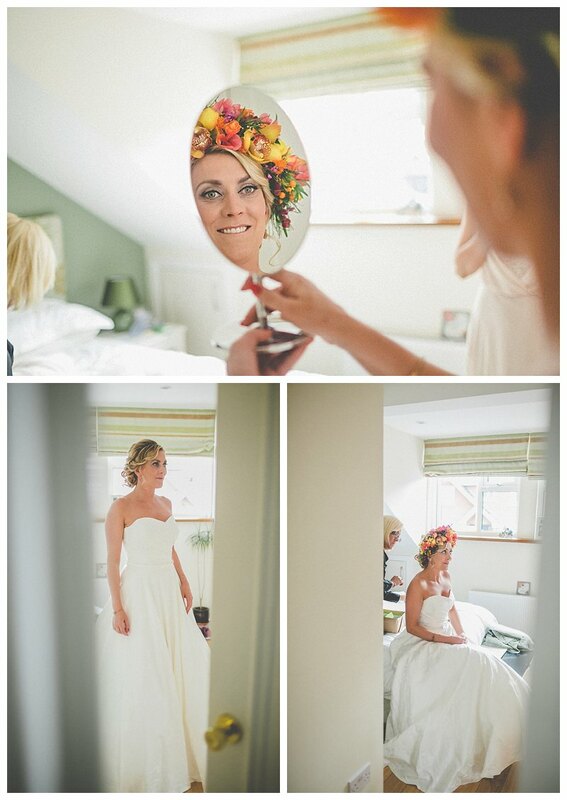 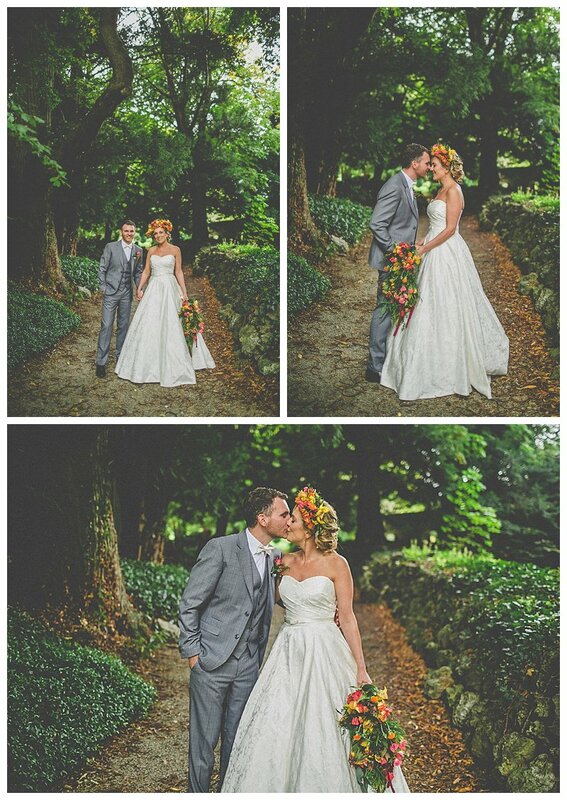 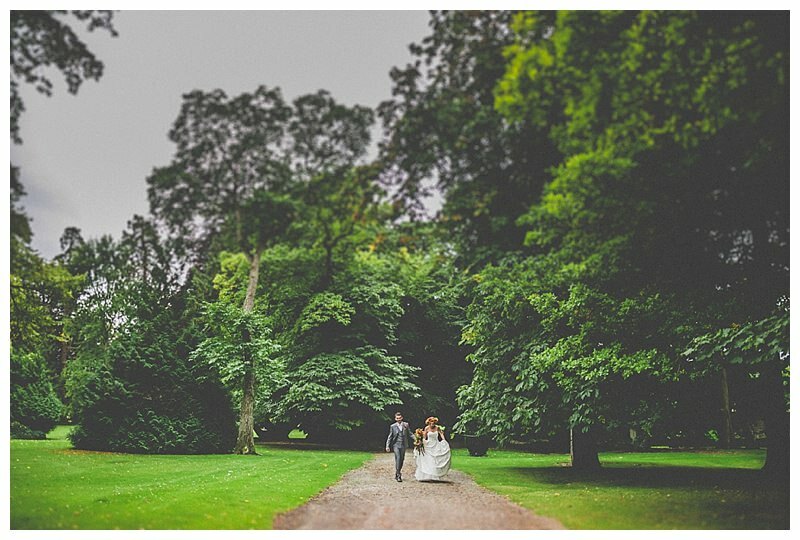 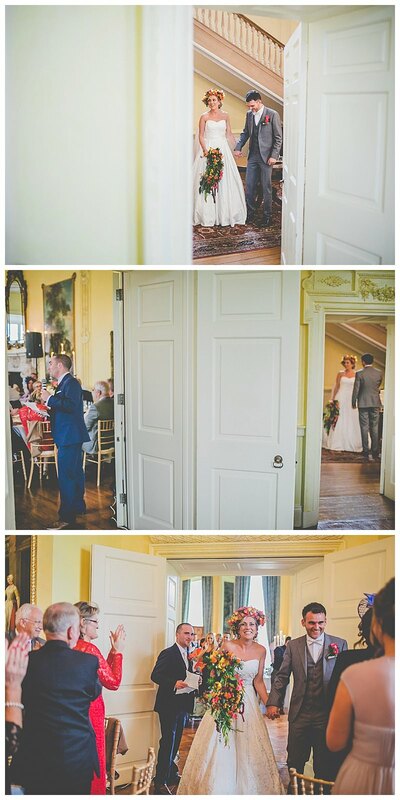 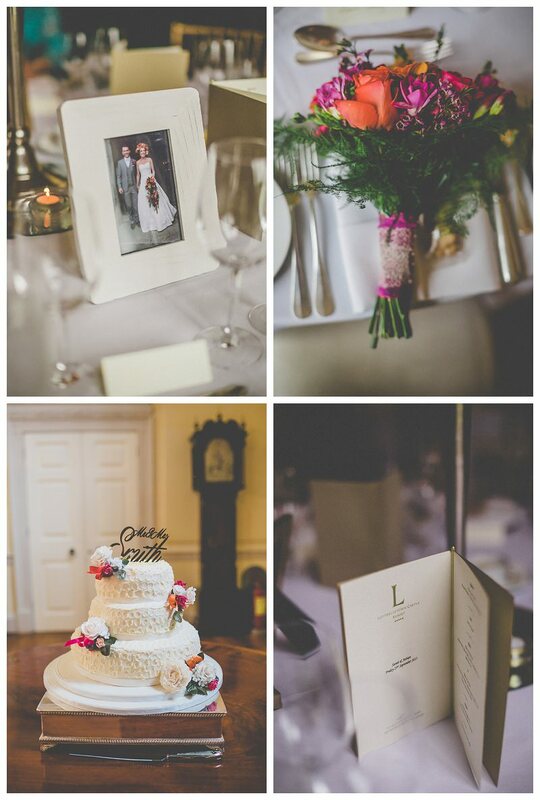 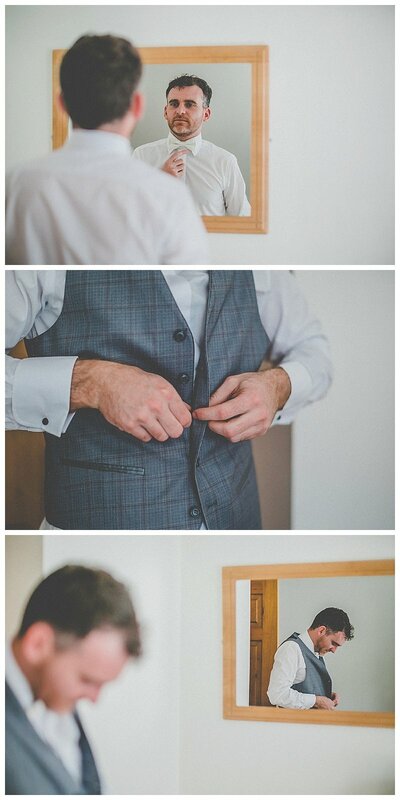 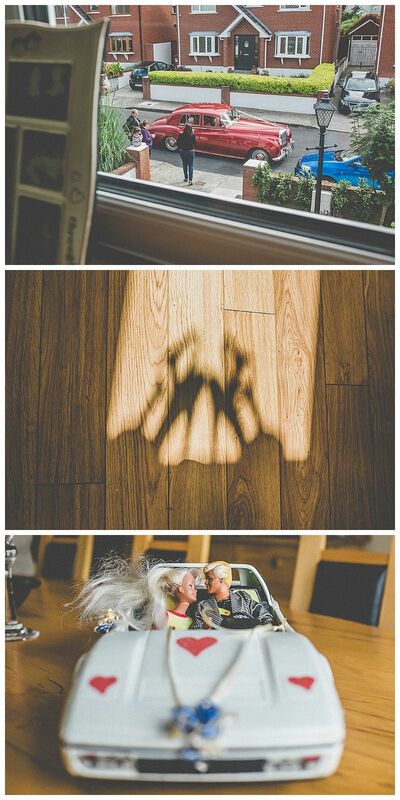 Sarah + Adrian had a ball…..you can just tell from the pictures that were captured of this lovely couple. 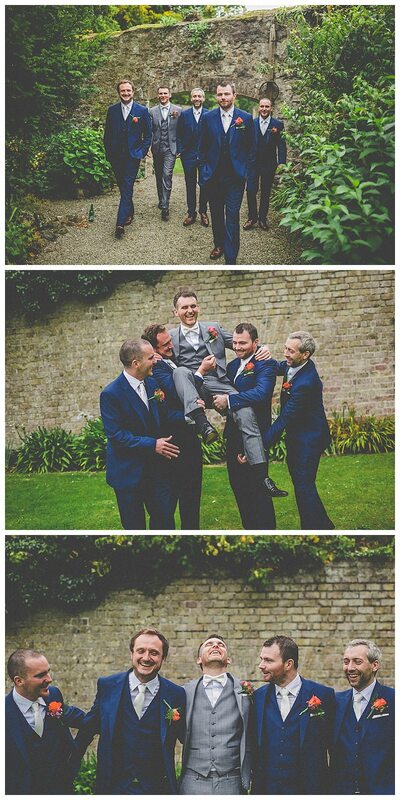 The bride embellished her look with a fabulous floral headpiece in pinks, oranges and yellows and totally brightened this brilliant day, the groom and his boys wore grey and navy and were a perfect compliment to the bridal party. 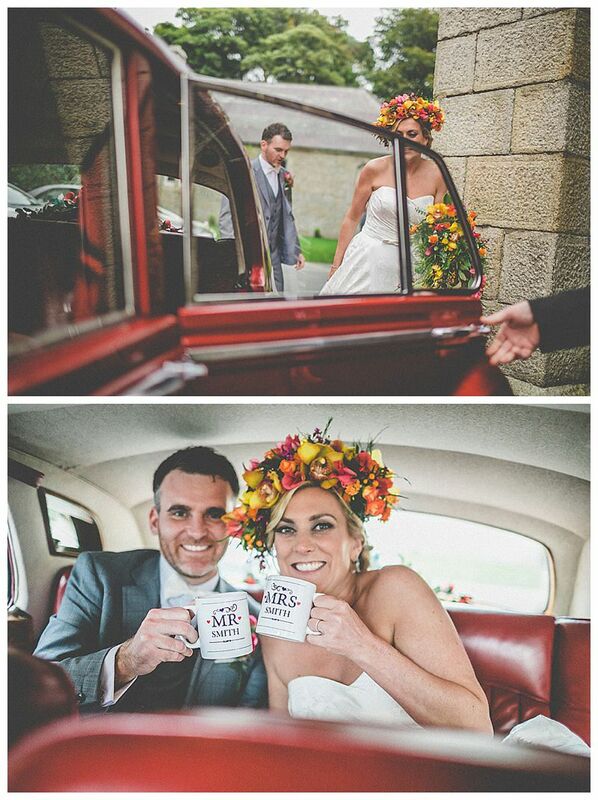 After the church ceremony it was off to Luttrellstown Castle Resort in a ruby coloured vintage car.